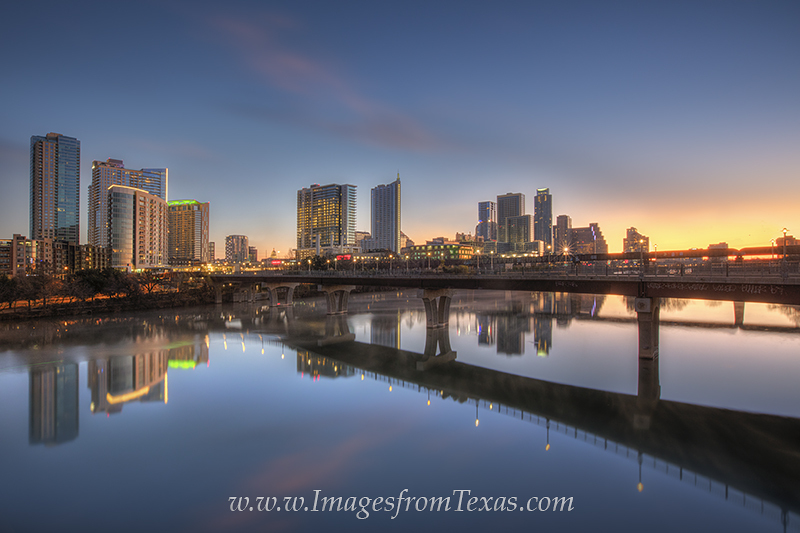 The air was cold on an early January morning as soft colors painted the sky above downtown Austin, Texas. The skyline began to awaken, and soon the day would begin in this growing Texas city. Photo © copyright by Rob Greebon.